In a landmark decision, Uttar Pradesh energy regulator has directed a Tata Power entity to pare power tariffs by 0.14/unit before taking control of stressed thermal power plant in Prayagraj (Allahabad) operated by the Jaypee Group. The judgement could set a precedent with a large number of stressed energy assets already on the blocks and pursued by other firms for takeovers. While the decision to direct bidding firms to undertake reduction of tariffs before being allowed to buy power assets could result in lower tariffs for the consumer, it could however blunt the sentiments of bidding companies. Prayagraj Power Generation Company Limited (PPGCL), a unit of Jaiprakash Associates, owns the stressed 1,980 megawatt (mw) power plant. It had signed a 25 year power purchase agreement (PPA) with UP power distribution companies (discoms) in 2008 and executed fuel supply agreement in August 2013 with Northern Coalfields for supplying about 7 million tonnes per annum (MTPA) of coal. The project was commissioned three years behind schedule owing to delays pertaining to land acquisition, sluggish equity infusion, foreign exchange fluctuations, rate of interest, cost of equipment etc leading to time and cost overruns. In November 2018, Tata Power had announced that Renascent Power Ventures, a wholly owned subsidiary of Resurgent Power Ventures, had signed a share purchase agreement with a consortium of lenders led by State Bank of India (SBI) to acquire more than 75% stake in the PPGCL. Resurgent Power Ventures is backed by Tata Power and ICICI Bank. The share purchase agreement was the result of the stressed asset resolution initiated by the lenders through competitive bidding. Resurgent and JSW Energy had counter bid each other to gain control of the asset with JSW even reportedly agreeing to pay Rs 6,200 crore for unit, thus bettering Resurgent’s proposal of Rs 6,086 crore even as both the firms had conceded to bear the plant’s tax liabilities of nearly Rs 2,850 crore. Earlier this week, UP Energy Regulatory Commission (UPERC) had concluded the final hearing over the proposed transfer of ownership of the project and reserved its order. 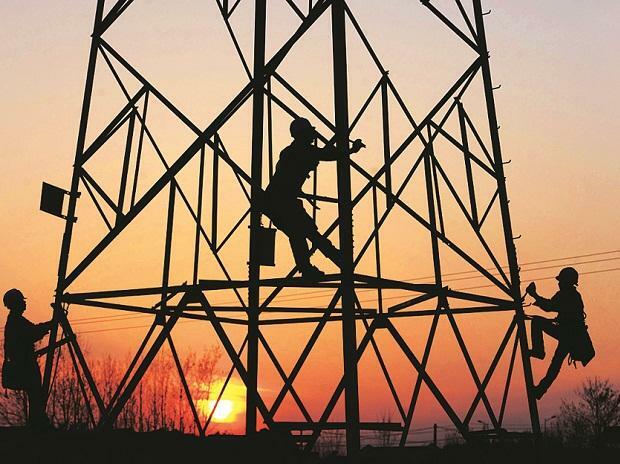 UP State Power Consumers Council president Avadhesh Verma had petitioned the regulator to direct the biding company to reduce the tariffs before taking control of the project, since it was getting the asset at lower costs compared to the investment already made. He had claimed since the new owners would gain control of the project for Rs 6,000 crore, the power consumers should also get the benefit from the original levelised power tariff of Rs 3.02 per unit. However, the bidding firm had contested claiming the project needed fresh investment for a turnaround and operating at higher plant load factor (PLF), which had remained less than 50% in the past. While, SBI is the lead banker, other financial institutions among lenders included Punjab National Bank, Indian Overseas Bank, Bank of India, LIC, Union Bank of India etc. The total outstanding debt of the plant stood at Rs 11,500 crore, while the project cost nearly Rs 14,500 crore to developers. “If the UP Power Corporation Limited (UPPCL) had played a more proactive role in the hearing, the power tariffs could have come down by 0.40/unit,” he told Business Standard claiming now the UPPCL would save nearly Rs 160 crore per year and about Rs 3,520 crore in the next 22 years.